Cynful Nails: Pink and colourful gel nails. Pink and colourful gel nails. A set of girly nails. Pink + lace + crystals! And there's a dangling crystal nail charm on her ring finger. This design is kinda special eh? Love it. 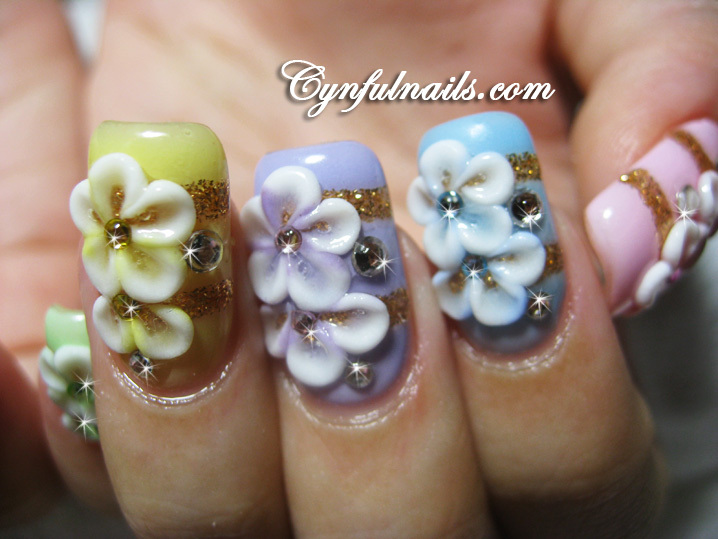 Fun pastel shades with flowers. I adore the pastel shades with the flowers. My, you are so clever. Stunning.